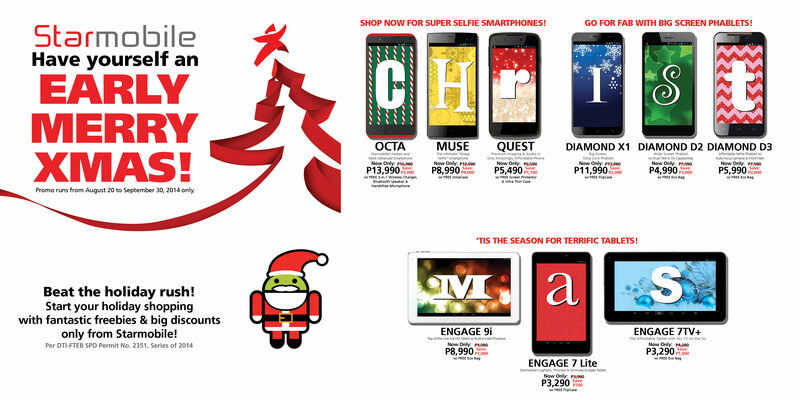 It’s never too early to start Christmas shopping, and with Starmobile’s “Have Yourself and Early Merry Xmas” promo, picking out the perfect gift for your loved ones has become a tad bit easier. 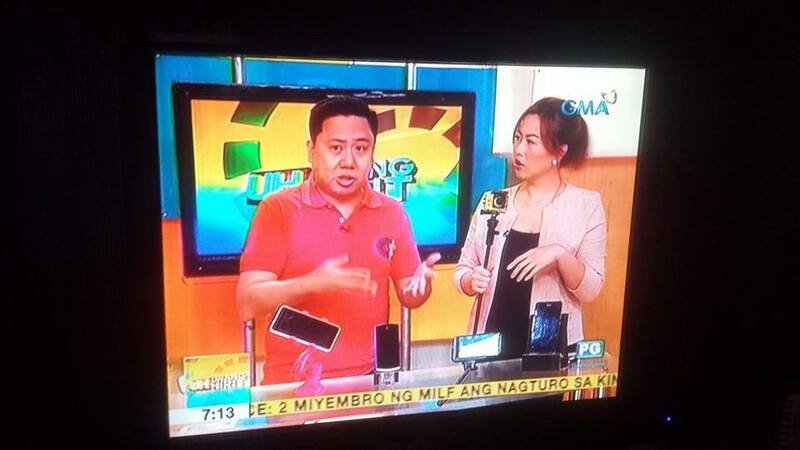 From August 20 to September 30, Starmobile is offering huge discounts on smartphones, phablets, and tablets, with some items going as low as Php3,290. 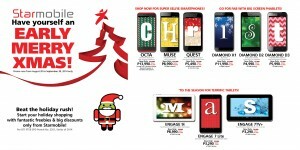 Not only that – you’ll also get useful freebies such as flip cases and screen protectors upon purchase. The fun doesn’t stop there, though, as Starmobile is yet to award an Octa unit to the best #StarmobileSignatureSelfie. The contest ends on September 15, so you can stil send in your entry. Don’t forget to check out Starmobile’s Facebook page for the mechanics and other exciting updates!